1940 and the phoney war is unfolding in Europe. In Turkey, a British arms engineer has completed his assessment of overhauling the Turkish naval fleet. On his final night in Istanbul before heading back to England three shots are fired at him as he enters his hotel room. He sustains a wound to his hand, but otherwise is unharmed. Abandoning his travel plans, Turkish military intelligence smuggle him onto a small ship sailing to Genoa. His fellow passengers include a German archaeologist, an Italian mother and son, a bickering French couple, an entrancing dancer and her surly partner, and a Turkish and Greek businessman. After initially feeling he’s safe from further danger, when Graham finds his handgun stolen he realises that he is still in peril but is trapped on a small boat not knowing who is friend or foe. 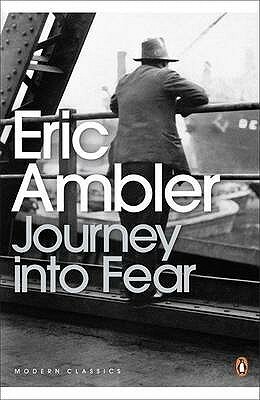 Through this closed set setup Ambler spins out a tale of rising tension as Graham interacts with his fellow passengers to try and determine who he can trust and who to be wary of. The characterisation is nicely done, as are many of the scenes. However, the story is perhaps a bit too linear, the intrigue as to who to trust a little underplayed, and the denouement too rushed. As a result the mystery and tension is a bit flatter than it could have been. Nonetheless, an interesting tale of escape and evading espionage. Hale is a doctor in the small town of Wilnott, the son of a successful science fiction writer. He occasionally sees the world through the eyes of other. Bobby Lowndes has returned to the town after some time in the Marines. Both have spent time in comas before emerging to continue their lives. A handful of rotted bodies are found in a pit. Someone is taking sniper shots. An FBI agent arrives, asking questions about Lowndes. Time drifts by, Hale treating a range of town folk, Lowndes hiding out in the woods. Strange happenings continue to occur, unsettling the usual rhythm of Willnot. Willnot is somewhat of a curious read. It traces the unfolding of some events – the discovery of some buried bodies, the arrival of an awol marine followed by a FBI agent, some sniper shots, and the ailments of town folk – through the eyes of Hale, a small town doctor. Unlike most crime fiction that has strong story arc driven by an investigation to solve a mystery, in typical Sallis style the narrative drifts along to provide a more metaphysical tale about the meaning of life in small town America. As such the story is more reflexive and philosophical, concerning itself with the mundane moments and mini-dramas in how life takes place. The tale almost has a mystical quality, as if Hales is living out moments from his father’s science fiction novels. The result is a thoughtful literary read that doesn’t seem to make much progress and has little in the way of denouement, but nonetheless is entrancing in its own, meandering way. I arrived back from five days in Boston yesterday morning and this morning I set off to Korea. I've just realised that Korea Statistics have booked me premium economy and I'll be flying right at the front of the plane on the lower deck of one of the double-decker A380-800s. I've not flown on one of these before, so I'm quite looking forward to it. Accompanying me on the journey is Martin Limon's 'Slicky Boys' set in Korea in the 1970s. Benny launched into a shallow dive from a low wall. The motorcycle helmet ploughed a small furrow then the momentum flipped his legs over his head. Mr Nelson knelt down next to the boy. Paul Muchrone scrapes by living off a small inheritance which stipulates he must volunteer six hours a week to charity. For this he works as a ‘granny whisperer’, keeping those with dementia company by pretending to be one of their relatives. When nurse Brigit Conroy asks him to see a new terminally ill patient in return for a lift home he reluctantly agrees. The man, however, mistakes Paul for the son of an old associate and stabs him in the shoulder before dying. It turns out the patient was a notorious criminal who had been on the run for thirty years after a famous kidnapping case. Soon after a second attempt is made on Paul’s life and he and Brigit are forced on the run. Unable to trust the police, except for soon-to-be-retired DI Jimmy Stewart and the unstable and law-unto-himself DS Bunny McGarry, the only solution to Paul and Brigid’s predicament is to try and solve the kidnapping cold case. I have a fondness for comic crime capers and A Man With One of Those Faces is very firmly within that genre, with an assortment of larger-than-life characters, plenty of one-line zingers, sarcastic exchanges, slapstick action, and lashings of dark humour throughout. The central hook is the classic ‘wrong person in the wrong place’, with Paul Muchrone meeting an old terminally ill patient who mistakes him for someone else and tries to kill him. Having survived that he then becomes a loose thread that needs snipping in case he might know something incriminating, regardless of whether he does or not. With a leak in the police force and no-one to turn to the only way to survive seems to be to solve an old crime. Aiding Paul is a feisty nurse, an unstable, rogue cop, a gun-toting elderly widower, a hormonally challenged pregnant solicitor, and Jimmy Stewart, a cop who is remarkably like a Jimmy Stewart character. The result is an enjoyable caper tale that keeps the reader smiling and has several laugh-out loud moments. I thought it was great up until the denouement, where the story seemed to run a little out of steam and lost its way a little. Nonetheless, it was a fun read and I’m looking forward to the next in the series. 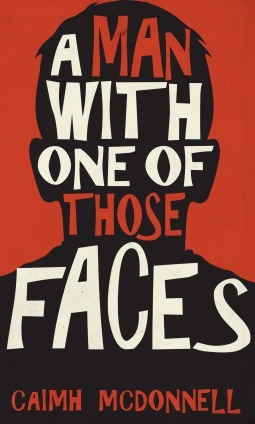 If you like stories by Colin Bateman, Carl Hiaasen, Tim Dorsey and Janet Evanovich then you’ll enjoy A Man With One of Those Faces. The late 1930s and a young Jean Paget travels back to Malaya to work for the company that used to employ her father. When the island is invaded by the Japanese she and the family she has been staying with are captured. The men are sent to a camp, but unsure what to do with the women and children they are marched to south towards Singapore. For seven months the women criss-cross the country, one-by-one dying of exhaustion or disease, no-one wanting to take responsibility for them. With her resolve and ability to speak fluent Malay, Jean becomes their unofficial leader. On the way they meet two Australians, one of whom takes a shine to Jean. However, in trying to help the women he pays a terrible price. Eventually the small group sees out the rest of the war in a Malay village tending rice paddies. After the war, Jean settles in England, but when she inherits some money she decides she wants to return to Malaya to thanks the villagers who took her in. From there she decides to travel to Australia and the outback where she discovers her next great challenge. It’s been a while since I read a story told by a narrator. In this case it is Noel Strachan, the solicitor for Jean Paget’s uncle. Encountering Jean for the first time after the Second World War he gets to know her well and continues to correspond with her for many years later. The book is his recounting of her life from the late 1930s to early 1950s. During this time Jean has two major adventures, the first surviving the war in Malay as a prisoner of the Japanese, the second, making a new life for herself in the Australian outback. In both case she takes on the role of unassuming leader, someone with the resourcefulness and vision to make a go of things and to realise goals. Through Strachan Shute tells an engaging tale of trials and tribulations, one that is sometimes fraught and deadly, but has at its core the values of resilience, hope and love. The central characters of Jean and Joe are both likeable, and Shute nicely portrays their chemistry and story, as well as the wider story of the war in Malaya and post-war rural life in Australia. 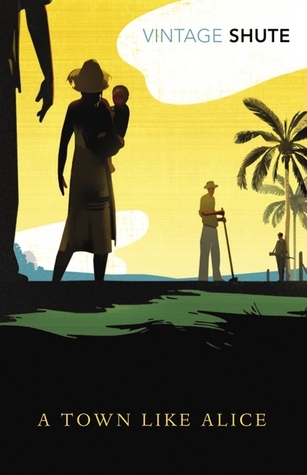 The voice, pacing and sense of place in Malaya and Australian are nicely done. Overall, an interesting and evocative tale of a young woman coming of age in difficult circumstances. Back on the speaking circuit this week with two talks in Boston, plus a bunch of other meetings. 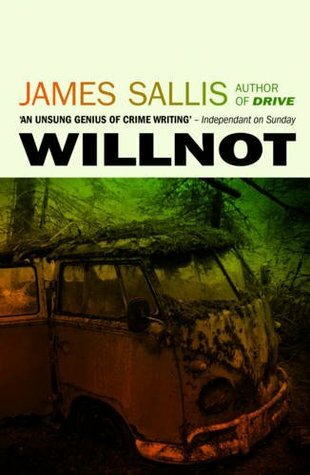 I've not packed any local fiction for a change, with James Sallis' latest novel Willnot lined up for the first part of the journey. ‘What?’ Benny said, trying to lift the visor of the motorcycle helmet. Stuey rapped his knuckles on the hard plastic. Benny clambered up on the front wall, turning to face the lawn. He performed a graceless dive, the helmet clunking heavily on the ground. Benny didn’t answer or move. 1939, Vienna, Oskar and Judith are arrested for spreading anti-Nazi leaflets. Given the choice of a camp or the army, Paul Brandt – aka Oskar – chooses the latter. Five years later he is evacuated from the Russian front badly scarred and missing an arm. After recovery in a hospital he returns to his village home in Silesia to recuperate. Near to his father’s farm is a SS rest hut – a luxurious retreat for SS officers on leave from the front or from managing the many concentration camps in the area. As Brandt passes the compound he recognizes Judith among the small group of female prisoners and vows that he’ll find some way to free and protect her. An opportunity to access the hut soon presents itself and he starts work, to the horror of his family, as a steward, unrecognizable to his former lover due to his disfigured face. Discipline within the compound is strict and brutal but Brandt does his best to make the five women prisoners' lives more bearable as he tries to plot an escape. However, as 1945 begins the Russians are poised to launch a new offensive and the Germans are planning a scorched earth policy and to kill or march west witnesses to their atrocities. 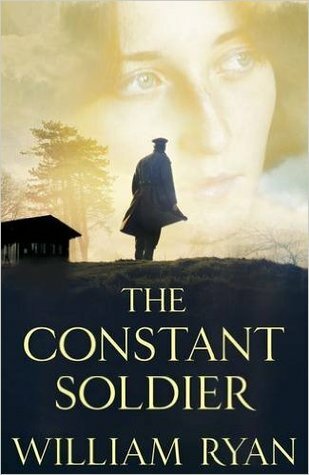 The Constant Soldier is set in Silesia in the tail end of the Second World War. Sent home to recuperate after losing an arm Paul Brandt spots his former lover as a prisoner working in a luxurious retreat for SS men and decides he has to do all he can to save her, even if it means alienating himself from his family and local residents. From the moment Brandt spots Judith there’s a seemingly inevitable resolution to the plot. However, how that assumed outcome will be reached is far less certain and the power of the story is its exploration of the moralities, disposition and actions of Brandt, the SS officers, their Ukrainian allies, and local population as the threat from partisans and advancing Russians rises, the entwining of despair and hope amongst the female prisoners, and the very gradual rekindling of the relationship between Brandt and Judith. Ryan nicely examines how some SS officers are regretful and guilt-ridden, others are resigned to their fate or plot their own escape, and some harden their resolve and brutality. Brandt’s dilemma is to try and navigate theses different dispositions; to persuade others to help him while keeping his intentions a secret and to make contact with local partisans who’d like him dead. Brandt’s quest is thus full of tension and danger and high running emotions as everyone waits for the Russians arrive. Rather than painted in black and white terms, instead the story is full of shades of grey as ordinary humanity mixes with its more extraordinary forms creating an emotive and engaging narrative. In the second half of the tale Ryan interweaves a separate subplot following the progress towards Germany of ‘Little Polya’, a female tank driver. While of some interest it added little and was somewhat of a distraction and if removed would have made no difference to the main story. Nonetheless, The Constant Soldier is a fine literary tale of redemption, survival and love as the world verges on descent into chaos. Five years after a bomb ripped apart a small community killing sixteen people the suspected perpetrators have been abducted. Having been freed due to issues with the investigation few locals have sympathy for the Mayday Five, members of a republican splinter group, yet the police must treat their disappearance like any other. Forensic psychologist Paula Maguire is part of the investigative team. She’s still haunted by the disappearance of her mother seventeen years previously, taken from her home by men presumed to be members of the IRA. When the first body is found the investigation steps up a gear, but tensions inside the police team are strained, locals are reluctant to help, and Paula is feeling the strain of being heavily pregnant and living alone. All the while the pressure is rising to find the remaining abductees before summary justice is administered. The Silent Dead explores the moral boundaries around the execution of justice after the perpetrators of an atrocity become the victims of vigilante action. Freed on a technicality the members of the Mayday Five, responsible for a bomb explosion in which sixteen people are killed and dozens more injured, have been abducted and are being killed, phrases from their defense argument left in their mouths. Lawfully they are entitled to the same protections and justice as everyone else, but many of the police were on duty the day of the bomb and local people, especially those who lost loved ones, have little sympathy. While the story is set up and unfolds as a crime thriller, McGowan sympathetically explores the moral ambiguities of the case through the work of her central character Paula Maguire and two other lens: that of a local child who lost her sister in the bombing and the narrative of a non-fiction book about the bombing and subsequent trial. Maguire is an interesting character with her own hauntings from the Troubles – the disappearance of her mother when she was a child – and a complex personal life which involves close contact with the two men who could be the father of her unborn baby, her boss and the local newspaper editor. Despite being heavily pregnant she is determined to more than her fair share of work and wherever Maguire goes trouble follows. While the main narrative following Maguire is compelling and gripping, the two other lenses are somewhat of a distraction. In particular the extracts from the non-fiction account adds little and is repetitive and certainly gives the impression that it would be terrible read if read in full. There’s an inevitability to the denouement but nonetheless The Silent Dead is an interesting, absorbing fast-paced story with never a dull moment and the best in the series so far, I feel. I don't want to repeat a work week like last week any time soon. Besides work the only thing I managed to do was read The Constant Soldier by William Ryan, the review of which I'll hopefully post in the next few days. I've now just made a start on Nevil Shute's 'A Town Like Alice', which I decided to track down after reading 'The Narrow Road to the Deep North' by Richard Flanagan. All three books have very similar themes of imprisonment, survival and love in a time of war. 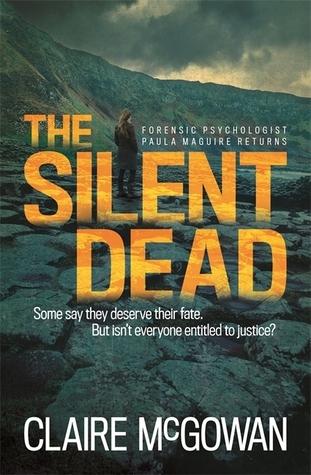 As did Claire McGowan's 'The Silent Dead', which is the next review up. Clearly there's an unplanned theme for my present reading. ‘I need to find a way to invent time,’ Paul said, rubbing tired eyes. ‘There’s a solution to that; it’s called not taking on so much,’ Susie chided. When aged thirteen Aleksi’s mother was murdered. The killer was never apprehended. Twenty years later Aleksi is convinced he knows the identity of the killer. Henrik Saarinen is a multi-millionaire who owns multiple companies and properties. One of the properties is an isolated estate and Aleksi has managed to secure the job of caretaker. Using his new position as cover he tries to gather evidence that Saarinen was responsible for his mother’s death and that of another woman ten years later, while jousting with Saarinen’s beautiful daughter, the surly chauffer, the distant cook, and Saarinen himself. Aleksi soon finds himself being drawn into a fraught set of games between the household members, but never loses sense of his mission. 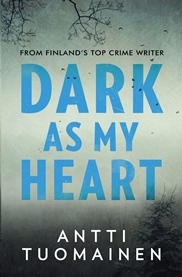 Set in Helsinki and surrounding countryside, Dark As My Heart is a tale of seeking justice for a crime committed twenty years previously. A child at the time of his mother’s death, Aleksi is convinced he knows the identity of his mother’s killer but has been unable to convince the police to re-open the investigation. His suspect is a wealthy businessman used to getting his own way. After years of trying to find a way to get to close to his quarry, Aleksi manages to find employment in the businessman’s country residence. While a useful plot device, I was never really swayed by the idea that the suspected killer, having done background checks, would hire the murdered woman’s son. Nor was I persuaded by the ensuing plot and the denouement felt overly contrived and rushed, especially with respect to the seemingly reluctant policeman. The result was a story that was sombre and relatively slow paced for much of its telling, and which I just never quite believed. A kind of contemporary Greek tragedy tale that held my interest but little more. I managed to get along to the launch of William Ryan's new book 'The Constant Soldier' in Dublin on Thursday. I've read his three previous books set in Russia in the 1930s. The new book is set in Germany at the tail end of the Second World War and has been picking up rave reviews. A nice month of reading. The two stand out books were The Narrow Road to the Deep North and The Boys in the Boat. The first a fictionalised account of the building of the Burma railway and the second a true story told in almost a fictional style. 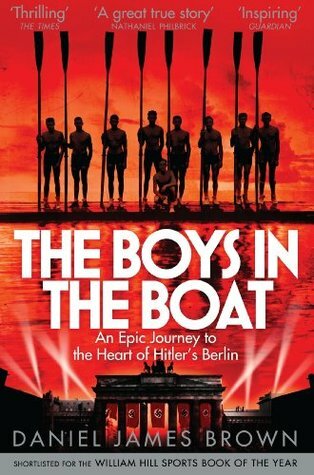 Hard to choose between them for book of the month, but I'll go with The Boys in the Boat.